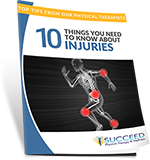 Get Immediate Access To Your Special Report And Top Tips From Our PTs! Are you one of the millions of people who want to put an end to pain and stiffness, stay active and moving, and increase not just your lifespan but more importantly your healthspan without the life threatening risks that come with pills, injections, & surgery? We would like to assist you in this mission. Succeed Physical Therapy & Wellness is a privately owned physical practice serving the East Valley. 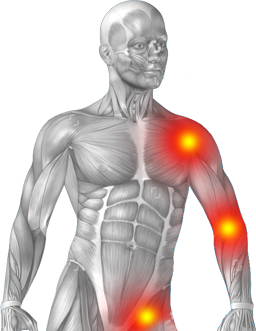 Succeed Physical Therapy in Mesa is a state-of-the art facility offering a broad range of physical therapy services and the latest clinical options. To keep up with the latest research, training and advanced techniques, our professional staff is actively involved in ongoing continuing education and personal development & growth. Our Board Certified Physical Therapists are always available to help with orthopedic, sports related, post-operative, and function limiting rehabilitation. Working with our professional staff in a caring environment will not only assist in returning the client back to a normal lifestyle, it will also be an enjoyable experience. Professional personal care is the number one priority of Succeed Physical Therapy & Wellness. “When I came to Succeed Physical Therapy I had very bad pain in my right leg to the point that walking and sleeping was a big problem. By filling out the form, you are providing express consent to receive communications from Succeed Physical Therapy & Wellness. You may opt out at any time. Copyright (2017) Succeed Physical Therapy & Wellness. All rights reserved.